This episode is sponsored by my Longaberger Home Business and Quince & Co. 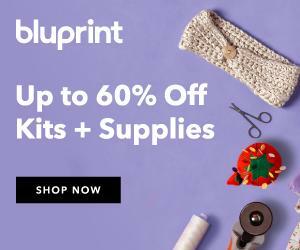 I am also a Craftsy Affiliate. Quince & Co Piper is our pretty little southern bird. We sourced the softest super fine kid mohair we could find from a Texas herd of angora goats and blended it with super fine Texas merino to make a lighter-than-air, almost lace weight single-ply yarn. 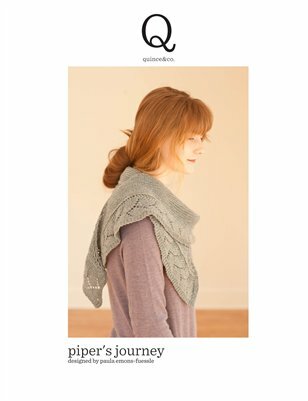 Piper has a pretty halo and a subtle sheen, thanks to the long, silky fibers of the mohair. Find Piper and the other Quince fibers at www.quinceandco.com. You can find my Longaberger Home Business at www.longaberger.com/paula. Please send me a personal message to sign up for my customer email list. Last week I talked about a way of thinking called synesthesia. Synesthesia is a trait where senses get cross-wired. I heard from several Pipeliners who are fellow synesthetes: Asatellen, Sarebear, knittyNancy24, and shpizel. It seems most of you are time/spatial synesthetes which I read was a more rare form. In True Detective the main character, Rust, has synesthesia. My Sister Bay KAL pattern to be released first week in July by Quince & Co. I’m going to make a weekly assignment to break it down into manageable bites like a mystery KAL without the mystery. Stitches Midwest 2014 Bronwyn and I will be there Thursday through Saturday. I know from listening to your podcast (which I continue to enjoy very much!) that you like butterflies, so when I saw this article I immediately thought of you. A friend of mine in Minnesota posted this article on Facebook and I (living in California) went to their website, saveourmonarchs.org. Their goal is to increase the monarch population "One Milkweed at a Time.” I knew their population was dwindling, but I didn’t realize how severe the problem is. According to the article, the area of Mexico inhabited by Monarchs in the winter has fallen 97% from its high in 1997. I also didn’t realize that milkweed was the only source of food for the Monarch caterpillar. The organization is trying to boost the population by getting people to plant milkweed. They are giving away free seed packets to anyone who wants them. Their website has a link to get free seeds. There is also a link to make a small donation, starting at $2, but it isn’t required to get the seeds. Donation is totally optional. Their website is interesting, explaining about the Monarch’s life stages and its migration. I just thought this was a great idea that you’d be interested in hearing about. It is so easy for many to do. I’m going to be planting some milkweed! Linda, Thank you so much for sharing that information and the website. Milkweed is the host plant for Monarchs. This is the plant the adult needs to lay the eggs. Then the larvae hatch and eat leaves…turn into chrysalis, and emerge as an adult monarch. Without the host plant there is no reproduction. Quite often host plants are those that we call weeds and that makes it harder for the butterflies that need that plant. Some other host plants are nettles, hackberry, dill, fennel, parsley, spicebush, pipe vine, willow, elm, pawpaw, and sassafras. Some butterfly species are quite specific, such as the Monarch that will only reproduce on milkweed. Others are a little less specific such as the Mourning Cloak that will accept willow, aspen, cottonwood, and elm. I read an article earlier this week that is related to this topic. It is the 100th anniversary of the extinction of the Passenger Pigeon, Ectopistes migratorius. The last passenger pigeon, Martha (named for Martha Washington), age 29, died in her cage on September 1, 1914 in the Cincinnati Zoo. Her body was shipped on ice to the Smithsonian. She has been living in a file drawer for many years but is now out on display again. There is no one alive today who has seen a live Passenger Pigeon. In the 18th and 19th centuries the Passenger Pigeon was the most abundant bird species on our planet. No one dreamed that in a fairly short period of time, 100 years or less, such a common bird could become extinct. I don’t think there is a bird today that compares in terms of quantity. There were masses of passenger pigeons so large that their passing darkened the sky. People hunted them for food and their habitats of forests were cut down. In one source I read it said that the invention of Morse code made it possible for people to communicate where large flocks of the birds were roosting. It seems Morse code was the Facebook, Twitter, and Instagram of the day. I am sure you will be hearing a lot more about the Passenger Pigeon this year. The last confirmed wild Passenger Pigeon in Wisconsin was shot in September 1899 near Babcock WI. The bird was mixed in with some Mourning Doves and it was only after it was killed that a man recognized it as a young Passenger Pigeon. Babcock, WI was the home of Elizabeth and Arnold Zimmermann. Some of you may have ordered wool and books from her at that address. There is a monument there with a plaque that was dedicated in 1947. The conservationist Aldo Leopold wrote “On a Monument to a Pigeon” to dedicate this memorial which is considered the first monument to an extinct species. The essay was published in a Sand County Almanac after his death in 1948, just one year later. "Men still live who, in their youth, remember pigeons; trees still live who, in their youth, were shaken by a living wind. But a few decades hence only the oldest oaks will remember, and at long last only the hills will know." In episode 175 I was finishing up Beyond Puerperium by Kelly Brooker. I had run into a bit of a roadblock with the buttons because the holes in the button were very small. From Grammie2Maddie who is Betsy from Atlanta. Paula, I know you’ve probably been thinking long and hard about your buttons, but I have a suggestion. If you use a very thin sewing needle (like a sharp, not a crewel or general sewing needle) you can use sewing thread doubled and knotted to go through the button holes. I know you said the holes are tiny, but if you use doubled polyester sewing thread, you ought to be able to go through the holes several times - also you can place a pin underneath the button before you start - between the sweater and button- and when you’re finished going in and out of the holes you can wrap the thread around the threads underneath the buttons, making a shank. This technique is very stable and holds the button on quite well. Do you think this would work? I wrote to Betsy that I had actually done that only with embroidery floss, fewer strands than I normally used but she explained it a whole lot better than I would have. Then I also knit the Barley Hat by Tin Can Knits to complete the set. Lace-Edged Women’s Hat by Julie Hentz (free pattern) Using Plymouth microfiber which I bought some time ago for the purpose of chemo hats. Cperrine wrote: I was just visiting Japan with my daughter and her youth orchestra and working on the Hitofude. Given it’s a Japanese word and Japanese designer, I thought it fitting. So I was excited to hear you talk about your Hitofude, Paula. I think it is pronounced “hee-toe-foo-day” per my limited understanding of Japanese. I’m making mine with Fat Squirrel fibers in a color I bought at last year’s Spring retreat (Spring 2013). Tripartite by Stephen West. Swatching with Sparrow in the Pigeon colorway. The Winter People by Jennifer McMahon. Recommend if you like ghost stories, paranormal. 3 stars. Writing was decent but story not my style. The Fault in Our Stars by Jon Green. Love Story of this generation. Mixed feelings because I don’t believe even precocious teens would ever talk like these two and their friend Isaac but kept my interest nonetheless. All the Light we Cannot See by Anthony Doerr. I would prefer to read this rather than listen but it is ok. The Lightkeepers with Richard Dreyfuss, Bruce Dern, Blythe Danner, Mamie Gummer and Tom Wisdom. Clean. You can watch with your grandmother and it would be fine. The Book Thief with Geoffrey Rush, Emily Watson, Sophie Nélisse and Nico Liersch. Celtic Cross Pipes and Drums placed first in Grade V at the Chicago Games last week in Itasca! This is an old favorite by John Muir which I have shared with you before. Hi Paula, thanks for the wonderful show. I learn so much from you! Used your link to buy milkweed seeds. My Mom has some in her garden that she says the butterflies brought. She attracted many Monarchs with her butterfly bushes. She also says milkweed doesn't transplant well. It will be fun to give away some seeds to my friends. Your baby sweater and hat is adorable too. Hope you all have fun at SSK.